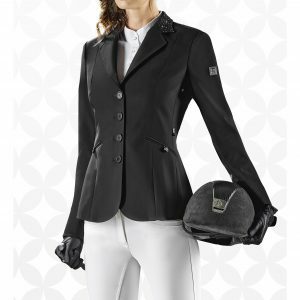 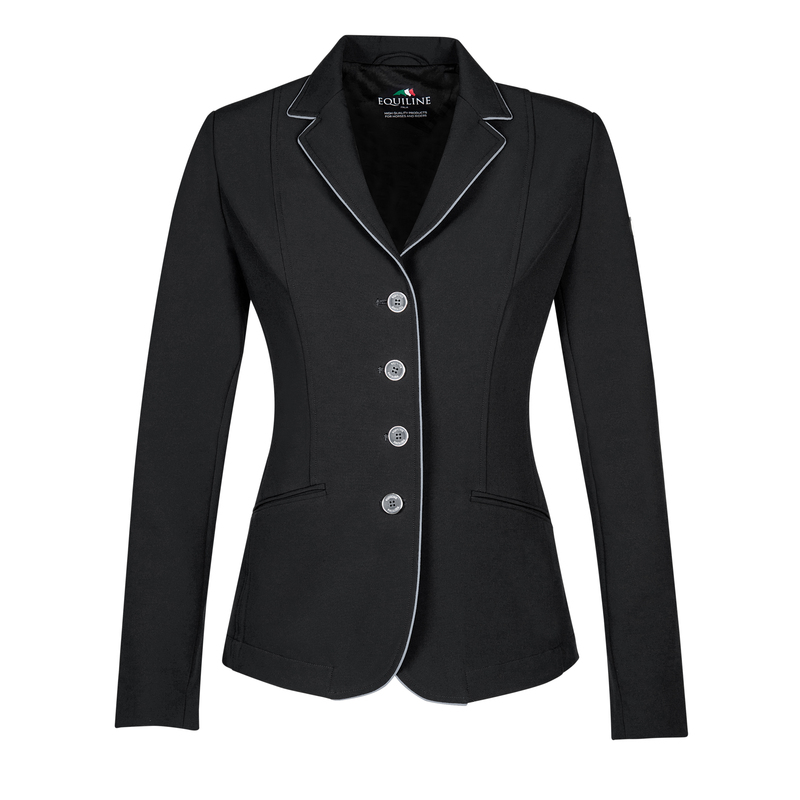 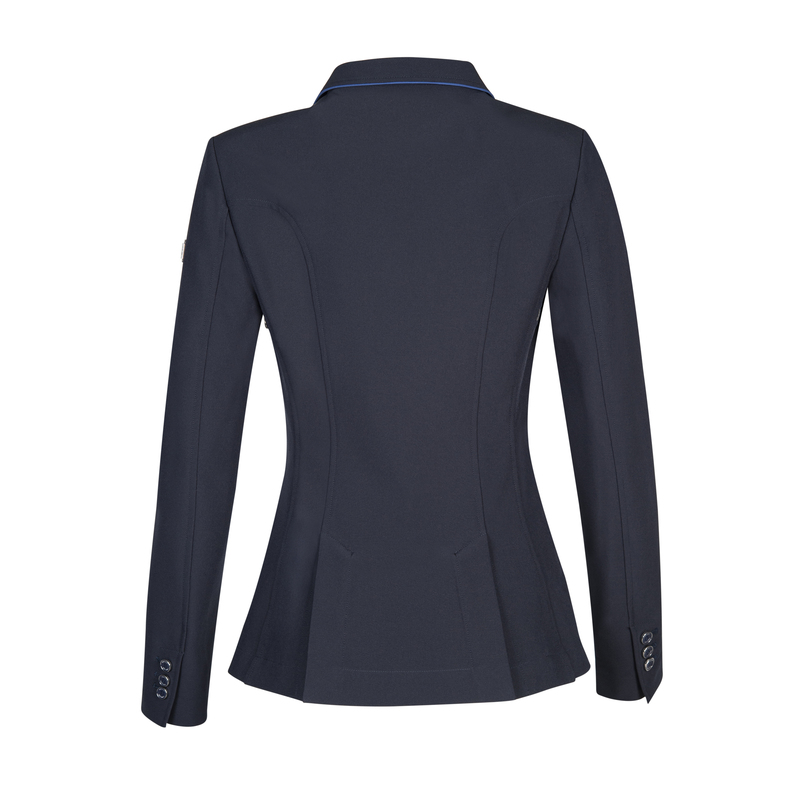 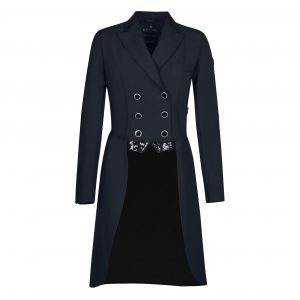 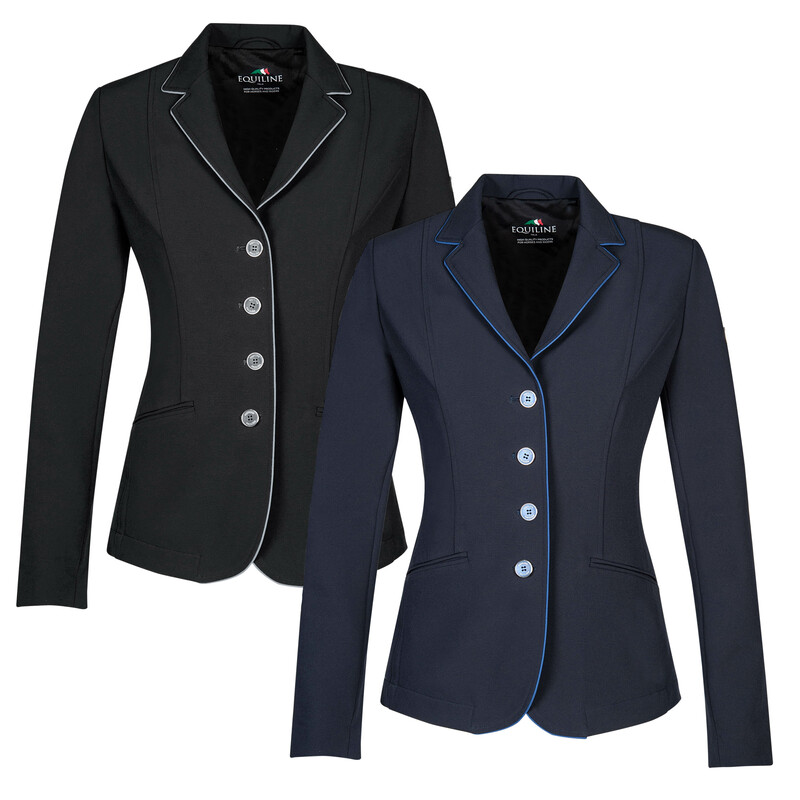 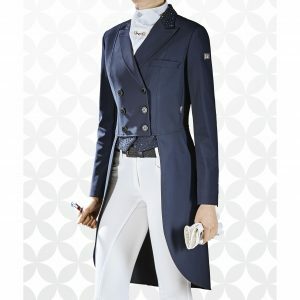 The Equiline Christine competition jacket is an unlined competition jacket, produced from a lightweight, stretch Nylon material. 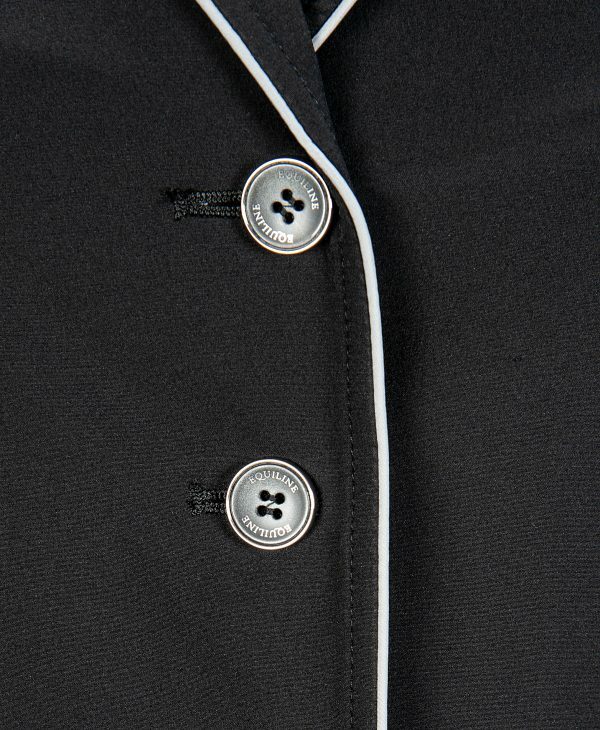 Featuring contrast detail on the collar, back vents, front closure and buttons. 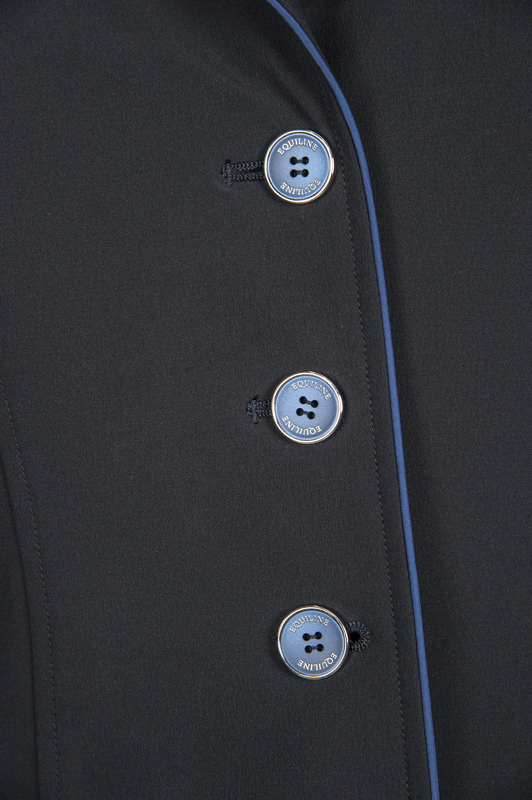 Finished with metal buttons and the Equiline badge on the sleeve. Available in Black with grey detailing & Navy with royal blue detailing.